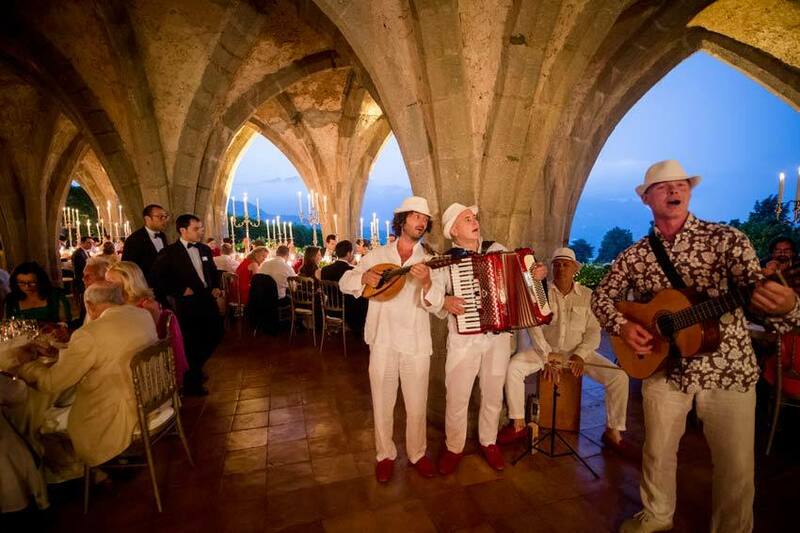 Weddings in Italy will be more magical if you hire great musicians. 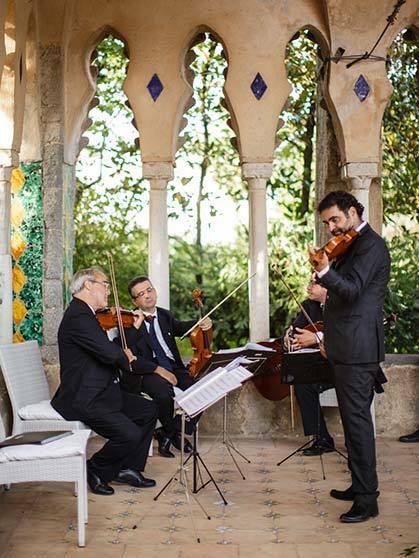 Options are limitless from a talented string quartet to a more traditional guitar & mandolin or accordionist. 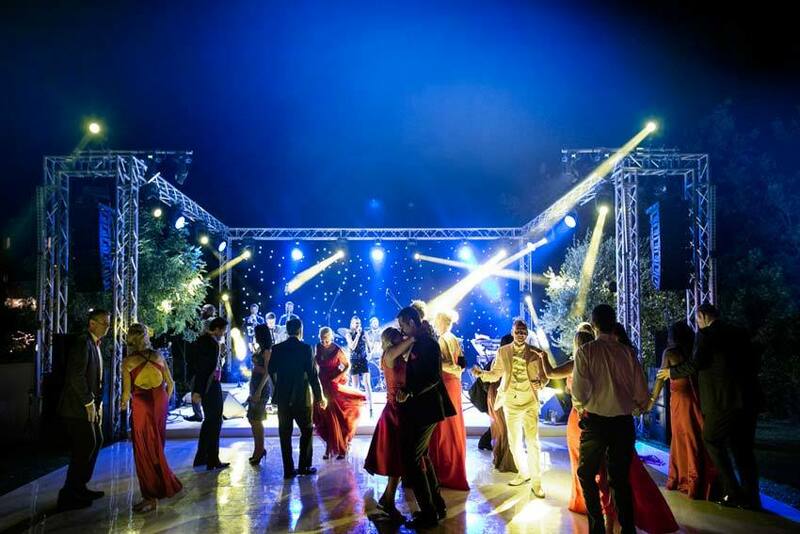 A carefully planned and selected music entertainment can set the mood and energy of your wedding. 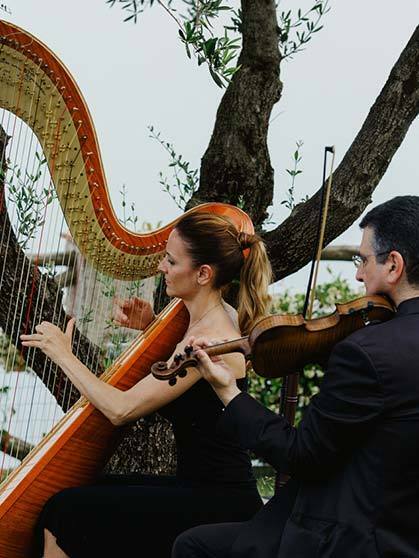 Whether you require classical musicians or a more lively jazz or swing band, our wedding professionals will guide you in the selection of the best musicians available in Italy, according to your needs and music preferences. If you are planning a more modern/unconventional type of ceremony you could opt for a guitar duo, piano and saxophone, guitar or pianist and singer or a live band. And much, much more to satisfy any desire for your wedding in Italy!